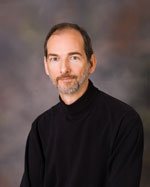 Robert Jantzen, PhD, is the recipient of Villanova’s 2011 Outstanding Faculty Research Award. Dr. Jantzen will speak as part of the Scholarship@Villanova lecture series on Thursday, Apr. 19, at 1:00 p.m. in Speakers’ Corner. His lecture, titled “General Relativity, Cosmology and Pasta? A Life of USA-Italy Academic Commuting,” will touch on his more than three decades of research, which garnered him this prestigious award. We asked Dr. Jantzen, a professor in the Department of Mathematics and Statistics, to give us some details about his transatlantic research, his upcoming talk, and why he’s brought his love of food into his academic research. How did you end up researching and working in Italy? I was an undergraduate at Princeton University during its “golden age of general relativity” and met an Italian physicist Remo Ruffini collaborating with John Wheeler (Feynman’s advisor) on black holes to do some independent work translating a long paper by Luigi Bianchi from 1898 on homogeneous spaces for use in mathematical cosmology. Some years later I then did a postdoc with Ruffini in Rome (1979-1980) and never stopped returning. How would you explain relativity to a freshman? Special relativity is relatively simple: the laws of physics show have the same form for any pair of observers which are each moving at constant velocity (inertial observers, as in inertial guidance systems for jets). For example, if a laser gun on a jet fighter is shot in the forward direction, the speed at which its beam arrives at the target should be the same as measured on the ground or as measured by the jet fighter instruments. General relativity is more complicated in that there are no preferred inertial observers moving at constant velocity due to the curvature of spacetime. I don’t have a short answer for this. The presence of matter and energy curves spacetime, and spacetime in turn tells matter how to move, in the rephrased words of John Wheeler. But in any region small enough compared to spacetime curvature, the laws of special relativity should apply. Can you say a bit more about the pasta metaphor? How did you come up with it? Pasta by Design is a recent whimsical coffee table book reporting on the mathematical description and classification of 90 types of pasta shapes by an architectural design expert. The cavatappi shape is among the most mathematically pleasing of these shapes and was a simple extension of the donut geometry I had already thoroughly studied, but even more whimsical and certainly more complicated. The light bulb went off: this would make an interesting way of describing spacetime curvature in a familiar setting, while connecting the mathematical techniques to its Italian origins (Levi-Civita gave Einstein the tool he needed to create his theory of gravity). And it does not hurt that I am a big pasta fan. However, as my talk will show, the so-called “geodesics” of the helical cavatappi surface surprisingly offer an incredible analogy to the helical orbits in spacetime of the almost circular planetary orbits around the sun, including the monthly oscillations in the Earth-Moon system about their common center of gravity which correspond to the ridges on the cavatappi surface. This I only realized after responding to these questions, showing the power of human interaction to propel us forward in our thinking. What can students expect to take away from your lecture? Mathematics is a beautiful and imaginative subject in its own right, but it is also the most powerful tool we have to understand our universe and how things work. Before we finish, is there anything else you’d like to mention? None of this pasta geometry work would have been possible without a computer algebra system: Maple is our choice here at Villanova University. It allows the mathematically intelligent user to tackle calculational problems that would never have been possible without such software. If only students (and faculty) could recognize that both understanding concepts and having the appropriate computational (software) tool to use those concepts to solve realistic problems are equally important, but that promise of college mathematics is not being fulfilled today—math is not just for taking tests!